You can download Coke Studio Season 8 - Mix High Quality Mp3 Songs. Coke Studio Season 8 was released by Various Artist in year 2015. There are about 28 mp3 songs in album Coke Studio Season 8. 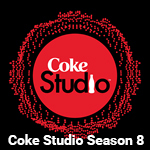 Pakistan most popular TV music show Coke Studio Season 8 has been started, we all know that. The show is featuring some new faces including Azmat Ali, Ali Haider, Ali Sethi, Ali Zafar, Alycia Dias, Arif Lohar, Asim Azhar, Atif Aslam, Bakhshi Brothers, Faria Khanam, Fizza Javed, Gul Panrra, Kavish, Kareem Abbas among other prominent Pakistani artists. The much liked show Coke Studio is produced by Rohail Hyatt and sponsored by Coca Cola.